On April 1, 1960 is when the first Dr. Marten’s boot came out in Wollaston, Northamptonshire as just a simple good quality work boot for the everyday man. No one had any ideal this shoe would grow to be apart of a cultural phenomenon. This boot represents a time ... (see full details) (see specifications) #5959. On April 1, 1960 is when the first Dr. Marten’s boot came out in Wollaston, Northamptonshire as just a simple good quality work boot for the everyday man. No one had any ideal this shoe would grow to be apart of a cultural phenomenon. This boot represents a time when the working man finally got a pair of shoes he deserves, a pair of shoes that became a fashion trend and a way to express yourself. So let your own personality and style speak for itself in these Dr. Martens Men's Brown R13400200 Steel Toe Ironbridge Slip-Resistant EH Shock Absorbing Work Boots. Not only are they crafted to look good but to feel good as well. These men’s shoes protect and perform on the job so you can go through your work day with ease. These work boots are designed with contrasting stitching that stand out against the rich, dark brown full-grain leather uppers. Those leather uppers are also water resistant, meaning they can withstand any weather condition Mother Nature throws at you. This men’s workwear is held together by the traditional 8-tie lace-to-toe design. The leather of these slip-resistant boots has a tumbled grain that creates a textured, pebbled look. The oiled finish makes workwear appear glossy and smooth to the touch. Not only do these shoes look amazing but they feel amazing too! As soon as you slide your feet into this footwear you’ll feel the soft mesh padded collars as well as the cushioned, padded tongues. Once you're inside these brown boots the softness continues with the cosmo cambrelle lining which surrounds your feet with 100% comfort. The material is moisture-wicking and made to draw sweat from skin, so you'll stay dryer longer. The cushioning nylon mesh covered EVA insoles of these shoes are what your feet will rest on all, so you can go through your workday with ease. The classic Doc Martens soles are attached with Goodyear Welt stitching, making them reparable. The sewn construction method creates a durable bond with waxed thread that's resistant to moisture and chemicals. To make the bond exceptionally secure, these Ironbridge boots were also heat-sealed together for added strength. Those shock-absorbing soles are crafted to be tough. They're designed with an aggressive cleat design that grips and finds traction even in hazardous conditions. They resist corrosion from oil, fat, alkali, and petrol. In addition these steel toe boots are designed to absorb impact in the heel area, where you need cushioning the most. Crafted with an extra-wide fit, these water-resistant boots are made to feel roomy and comfortable around every step. In addition to everything else they do, the soles are EH rated meaning they can absorb hazardous electricity. The steel toe caps of these extra-wide EH boots absorb painful impact and compression before it completely tears up your feet. They're ASTM rated as protective work footwear to guard you from various dangerous falling objects. Stand out among the crowd with Dr. Martens Men's Brown R13400200 Steel Toe Ironbridge Slip-Resistant EH Shock Absorbing Work Boots. They provide you with signature style, comfort and protection. Buy your pair online, just add to the cart, checkout and we’ll do the rest! To convert, subtract one size for men and 2 sizes for women. These boots are some of the best boots I've ever worn. Very comfortable and they are a great price. The warranty is great as well. If something happens to them you just have to call and let them know and they will send you out a new pair. Very happy with the service I have received with workingperson.com. These are the best boots ever. i am 6' 3" 340 lbs,and wear size 13 extra wide and these are so comfortable. I did have one sole separate from itself after a year of use, but a little glue and all fixed. That is why only 4 stars. So comfortable. I do a lot of walking and these boots keep my feet comfortable all day. They also keep my feet fairly cool, which is suprising. This is my second pair of these boots and I will continue to buy them. They last about 2 years and well worth every penny spent. Also Doc Martin will resole the boots for fairly cheap if you want to keep your wore in upper. I've had a pair of Dr Marten dress shoes that I've worn & loved for 8+ years but I've never considered the Dr. Marten brand for work boots until my wife recommended WorkingPerson.com when I needed to replace my worn out Wolverine work boots. I searched around on their website & came across these boots & after much delay & hesitation of ordering boots from a website instead of buying in a store I couldn't be happier. 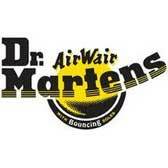 They're comfortable & are they're quality I've come to expect from a Dr. Marten product. I wear a size 11 US & followed the directions when they recommended ordering the size 10 UK & they fit perfect, I couldn't be more happy with the purchase! I've been wearing these boots for years. My employer buys me a new pair of boots each year, and they will spend as much money as needed for acceptable safety boots. I have tried many different brands & keep coming back to the Docs, they are less expensive and better quality than the others I've tried. Dr. Martens Boots: Men's Brown R13400200 Ironbridge Steel Toe Slip-Resistant EH Boots is being added to your cart.